DOWNLOAD A VENDOR REGISTRATION FORM. ALL REGISTRATIONS MUST BE POSTMARKED by AUGUST 1st 2019, and in OUR OFFICE BY AUGUST 6th, 2019. How do I register my sale? YOUR SALE CAN BE REGISTERED IN 5 EASY STEPS ….. Decide the address where you will hold your sale. Out-of-Area vendors must arrangements for setting up before Registering. Multi Vendor sites listed on www.junkjaunt.com. Vendor Registration forms are available at local business, from your town coordinator OR download a printable Vendor Registration from the Junk Jaunt® website. Complete the Vendor Registration form. NOTE: If you use more than 15 WORDS to list your sale items, it will cost more. Incomplete registrations cause delays & may miss the deadline. Mail the completed Registration form to the address provided on the form. All Vendor Registrations must be postmarked by August 1 and received in the Ord office by AUGUST 6th, to be printed in the Junk Jaunt® Shopper Guide. Incomplete or late forms will not be printed. Registrations postmarked after the DEADLINE will receive official signs as proof of Registration, but may not appear in the Shopper Guide. NOW — Start cleaning out the garage, the closet, the garage, or the barn. On the Junk Jaunt® area map, a town in which you would like to set up your sale. If that town is participating in this years JUNK JAUNT® it will have a listing for …. A central location for vendors, such as the community center or the fair grounds. Contact information for for space rental and pricing. Don’t assume they will have space to rent. Ask …..
Once you have established a place for your sale, complete a Vendor Registration form and attach the “Out of Area” fees. Stick it in the mail. ALL REGISTRATIONS MUST BE POSTMARKED by AUGUST 1, 2019, and in OUR OFFICE BY AUGUST 6, 2019. NOTE: You must set up your sale within the Official JUNK JAUNT® area to have a Vendor Listing in the JUNK JAUNT® Shopper Guide. REMEMBER: It is illegal to advertise any sale using the JUNK JAUNT® name unless you are a registered vendor. AREA VENDOR: Any person who legally resides within the Nebraska counties of : Blaine, Loup, Garfield, Wheeler, Greeley, Valley, Custer, Sherman, Howard, plus the portion of Hall County north of Interstate 80 and the portion of Buffalo County that includes the Hwy 2 town of Ravenna, NE. OUT -OF- AREA VENDOR: Any person who legally resides outside the Nebraska counties listed above. What are the benefits of Registering my sale? THERE ARE NUMEROUS BENEFITS FOR REGISTERING YOUR SALE. Your sale will be listed in the Official JUNK JAUNT® SHOPPER GUIDE where 15-20,000 people from 34 states will read your sale ad. You pay the small, affordable, Registration Fee and we do your advertising for you. You will be assigned a VENDOR NUMBER. That number will be placed beside your listing AND on the town map….at the address you give us. All Registered Vendors will receive TWO (2) professionally pre-printed, bright colored, JUNK JAUNT® VENDOR SIGNS…to display at your sale or business. All Registration Fees are used to purchase over $15,000 in nationwide advertising. The satisfaction that you have supported Nebraska’s JUNK JAUNT® in it’s efforts to bring customers to the area. You have paid your “fair share” are not taking advantage of your neighbors or the local citizens. All Vendor Registration Fees are pooled and spent to purchase JUNK JAUNT® ads. JUNK JAUNT® ads and news stories are purchased in national publications, such as AAA magazine, 4 antique magazines, multi-state newspapers. Ads and news stories are also placed local & Nebraska newspapers, magazines, TV and radio stations. Over 80,000 JUNK JAUNT® brochures are printed and distributed to 20 plus states each year. ALL REGISTRATIONS MUST BE POSTMARKED by AUGUST 1 2019, and in OUR OFFICE BY AUGUST 6, 2019. Download a printable Vendor Registration with complete rules and information. What does registering my sale do for me? All Registered Vendors will receive TWO (2) pre-printed, bright colored, JUNK JAUNT® VENDOR SIGNS…to display at your sale or business. ALL REGISTRATIONS MUST BE POSTMARKED by AUGUST 1, 2019 and in OUR OFFICE BY AUGUST 6, 2019. Must I charge sales tax on my sale items? “If you have more than 2 garage sales per year you are considered a business, and required by Nebraska law, to charge and submit sales tax, both Nebraska sales tax and city sales tax, where applicable.” Not all towns have a city sales tax, so check it out. 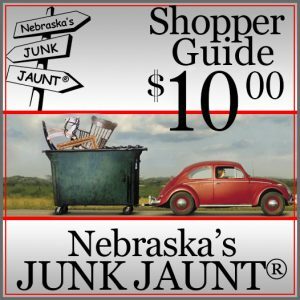 The Nebraska’s JUNK JAUNT® General Committee, does not require proof of a Sales Tax License or Food License, however, we have no control over spot-checks by the Department of Revenue or the Department of Agriculture. If in doubt, we suggest that you obtain the proper licenses. It is always better to be safe than sorry!!!! Who can sell at the Junk Jaunt®? 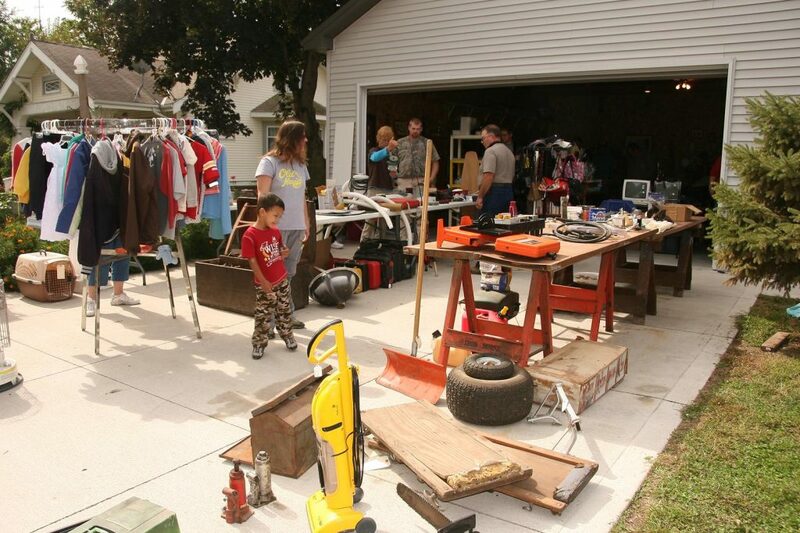 ANYONE CAN SELL (be a Vendor) at Nebraska’s Junk Jaunt®. All sellers are referred to as a ‘Vendor’ regardless of what they have to sell and are welcomed with a Vendor Registration. THERE ARE TWO (2) CLASSES OF VENDORS…. AREA VENDOR — Anyone whose legal residence is within one of the counties making up the Nebraska’s Junk Jaunt® area (below). 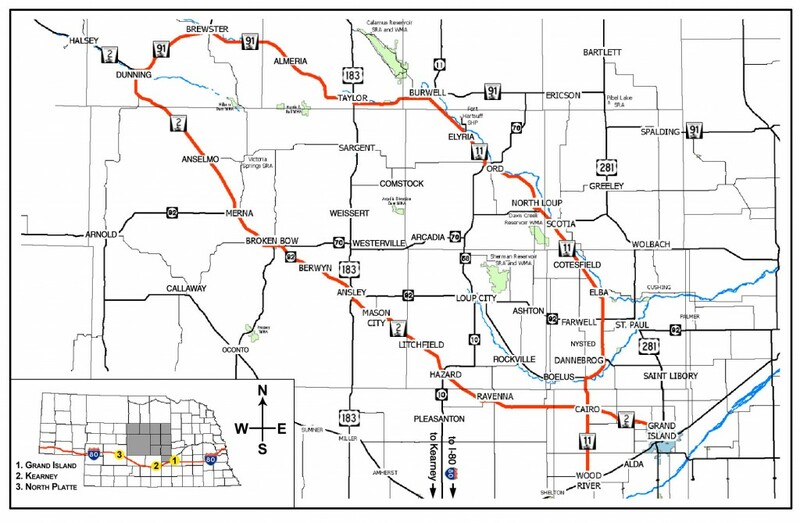 The Junk Jaunt® area is limited to the counties of : Blaine, Loup, Garfield, Wheeler, Greeley, Valley, Custer, Sherman, Howard, plus the portion of Hall County north of Interstate 80 and the portion of Buffalo County that includes the Hiway 2 town of Ravenna, NE. Can I set up a food stand? Yes, you may set up a food stand or hold a bake sale. Midwestern cooks have a reputation for having “great cooks”, and travelers are looking for “the very best” food they have ever tasted. You may sell home baked items, home canned, home grown or commercially prepared food items. Mobile food stands must have a Restaurant or Food Service license and a Nebraska Sales Tax license, as they are considered Commercial Food Services. Remember, you will realize better sales with a Junk Jaunt® Vendor Registration. At least 15,000 Junk Jaunters will read the Shopper Guide listings..
What and Who is a JUNK JAUNT® Vendor? ONLY Registered Vendors ARE WELCOME. A VENDOR is anyone who sells …. A garage sale, food, merchandise, services, etc. AREA VENDOR: Anyone who legally resides within one of the Junk Jaunt® counties. The nine (9) counties that make up the Junk Jaunt® area are: Blaine, Loup, Garfield, Wheeler, Greeley, Valley, Custer, Sherman, Howard plus the portion of Hall County that lies north of Interstate 80 and the portion of Buffalo County where the Hwy 2 town of Ravenna, NE is located. OUT–of-AREA VENDOR: If you resides anywhere else, you are an “Out of Area” Vendor. All Vendors are expected to comply with Nebraska Tax & Food Laws (if applicable).